ADD: Seems it will be good to post some pics how to change microsd cards in isostick. Maybe in kickstarter blog. Edited by allig4t0r, 21 December 2011 - 02:40 PM. 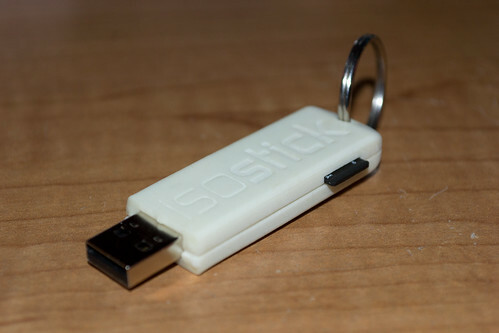 To answer your question: retail isosticks will not come with microSD cards, you will have to bring your own. I will try to get some retailers that also sell microSD cards to carry isostick, that way it's "one-stop shopping" for anyone who also needs a microSD card. 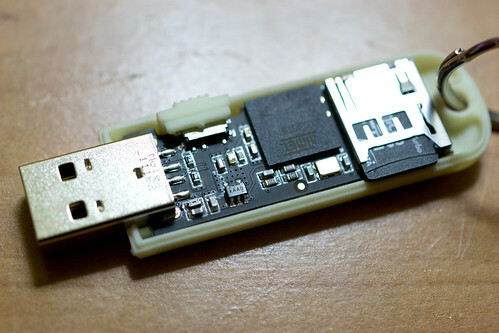 The only reason microSD cards were included with the Kickstarter isosticks is the old enclosure required you to dismantle it to change the card, which wasn't easy. Edited by allig4t0r, 28 December 2011 - 12:56 AM. 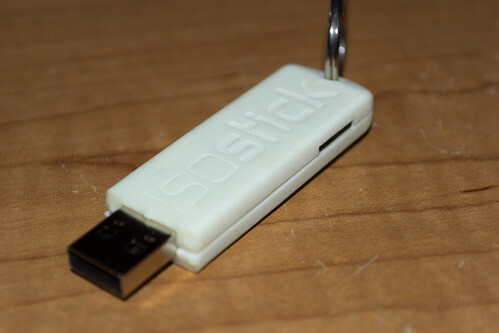 Going to need a small case attachment to carry the Micro SDcards with ISOstick. On the second Photo the MicroSD is being shown as ejected. Right. When You insert the Micro SDcard, it will barely show on the outside. Right. The MicroSD card will not stick out at all when inserted.